Amazing jewelry from the best artists. Made with love and passion, without hurry, with the utmost care for details. Here you will find one of a kind, original jewelry for every occasion – elegant collections which are the result of the artistic handiwork of many designers, as well as ideas for unique gifts for those who appreciate the charm of handcraft and careful selection of only the most precious metals, gemstones and perfect workmanship. Since the year 1998 Andrzej Głodowski has been creating artistic jewelry which combines silver with titanium, leather, steel and brass. His works are distinguished by intricate workmanship and unique designs which follows current trends. His inspiration comes directly from nature – in his works we can find sunflowers, colorful butterflies, glimmering dragonflies, golden ears of crops, flowers exploding in a multitude of colors, all enchanted in silver. An "Engineer of aesthetics". A visual artist, master of architecture. Member of the Visual Artists’ Association Board. Member of the Goldsmith Form Craftsmen Association. An author contributing to the current world of fashion and aesthetics. The work of Dorian Grabowski is governed by a clear and distinct system of aesthetics creation. It developed for the last 30 years thanks to learning and perfecting numerous innovative technologies in the area of metallurgy and electrical engineering for the purposes of creating jewelry. 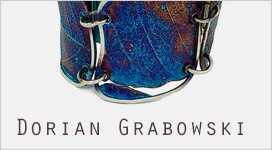 Today Dorian Grabowski is the author of a one of its kind jewelry collection which consists of a great number of unique pieces, in which no single item is ever repeated. 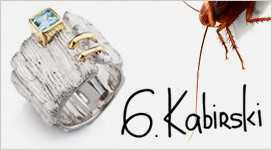 G.Kabirski brand offers jewelry made by an auteur designer German Kabirski. His inspiration stems from the very idea of creating without regard for traditional forms and styles. Kabirski’s “rugged” art throws away the crutches of conventional production methods, it appears from air, clay and sea foam. Kabirski experiments with materials and forms a lot. He uses exotic wood (african, ebony, mahogany, snakewood), he plays with silver textures. He combines gems with everything, from silver, gold and wood to leather and reptile skeletons. The end result is quite far from traditional jewelry. Kabirski creates small installations with their unique and sometimes wild energy. Crafting jewelry is an art. Crafting uncommon jewelry is magic. It is secret and precision. Attention to detail and ideas. Jan Lekszycki is an author of artistic silver and gemstone jewelry – unique and made with passion. His works are astonishing combinations of silver textures with shining golden surfaces, adorned with natural gemstones, as well as unusual, surprising ideas – they are the author’s identifying mark. Ewa Jankowska, an artist from Opole, since 2006 has been creating unique jewelry using her original method. The texture of her necklaces, bracelets and earrings, sparkling like hundreds of diamonds, is a result of artistic handiwork, performed slowly, using the now forgotten knitting technique. With this technique, hard metal transforms into a soft, flowing fabric, creating intricate braiding – unique and original jewelry. The high quality of her products is guaranteed by only the most precious metals (925 silver) and reliable neodymium magnets in the fastenings. 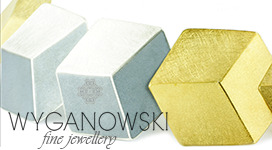 Jewelry by EwaJankowska is timeless and universal, which is proven by hundreds of enchanted customers in Poland, Europe and America – from New York, San Francisco and Toronto, to Tenerife, Berlin, London, Barcelona, Zurich, Vienna and Turin. LineArgent is a Spanish brand of silver jewellery with over 25 years experience in the jewellery and present in the best jewellery stores in Spain, Europe and America. The Catalan company offers a fresh and edgy collection designed in 925 sterling silver for women who are self-confident, with great goals. LineArgent are jewels designed to accessorize a woman who is progressive and with a great power of seduction and persuasion. An emotional and intelligent woman, who needs to be perfect every day. In Line Argent collections you can find many kinds of jewellery, always of silver base. Designs ranging from more avant-garde to great classics. Jewels creators of new trends as a result from the fusion of styles and influences of different cultures. Pieces for day to day use and for special occasions. Born in 1967 in Poland. 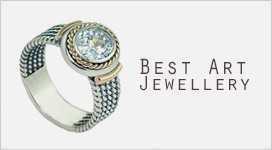 Since 1990 a jewellery designer. Graduated from the Academy of Fine Arts in Łódź, Poland. 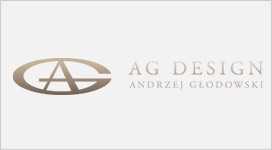 A member of Polish Sculptors Association and of the Goldsmithing Artists Association. Among numerous art fields Pawel kaczynski has experimented with jewellry has become the predominat means of his artistic expression. 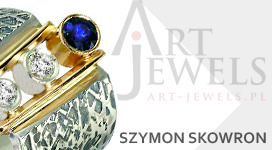 As a jewellery designer he prepares collections for galleries and individual customers in Poland and abroad. Jewelry by this author has for years enchanted with its quality and enjoys the trust of customers. Thanks to experience and imagination he uses hard metals to create and craft jewelry which surprises with its style and precise craftsmanship. Using the best, traditional jeweler’s techniques he transforms the smallest items into true works of art which in just a few moments are able to capture the imagination of women. The author combines silver and gold with the most precious gemstones from all over the world. He experiments with the textures of ores, combining raw, technical, somewhat industrial metal textures with smooth, essential lines inspired by nature.